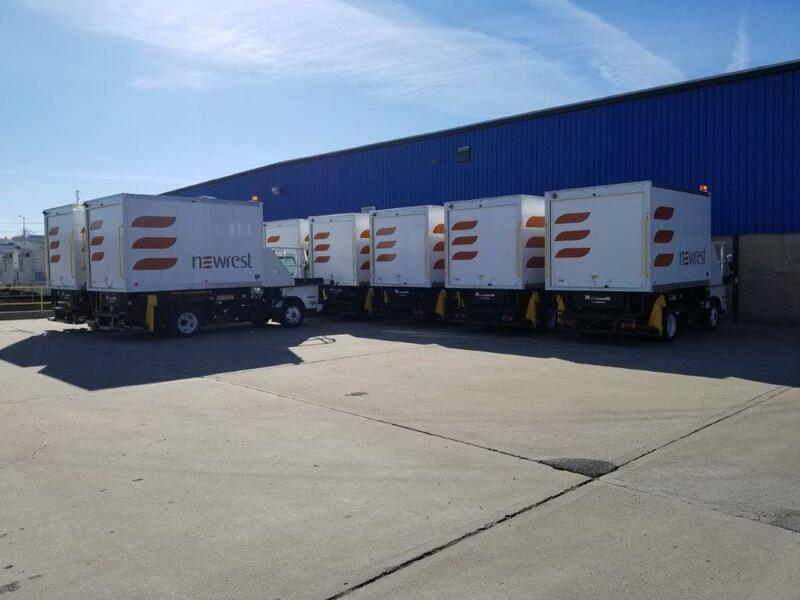 In a recent initiative, Global Ground Support partnered with Newrest Catering North America to supply catering trucks to two new kitchen locations that Newrest is opening. The new sites are in Salt Lake City, Utah and Raleigh Durham, North Carolina. Global has been awarded an order for 43 catering trucks to supply these two locations. 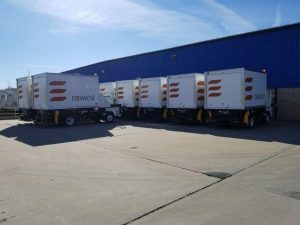 The first trucks began arriving at the locations in February this year and the remainder of the units should be delivered by April 2. American Airlines Cargo has been named the International Carrier of the Year by the Airforwarders Association (AfA), a trade group that represents the interests of US-based air freight providers. 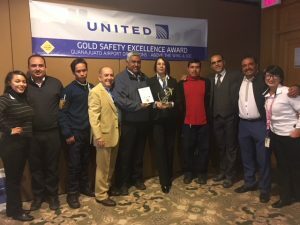 The award recognises American’s achievement in customer service, on time performance, and reliability and security, alongside other disciplines, and was announced on February 19 during the Air Cargo Conference in Austin, Texas. This is the first time American has won the AfA International Carrier of the Year award. In 2016, the company was awarded the AfA James Foster Memorial Award, which recognises carriers that exhibit a high level of professionalism and dedication to advancing the airfreight industry. The Menzies team at Del Bajio International airport in Guanajuato (Mexico) has earned Gold Status under United Airlines’ Safety Excellence Programme. Gold Status is awarded when a station achieves two consecutive years of 10% improvement in the areas of injury, illness and ground damage. 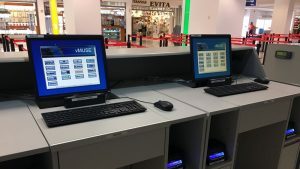 Rockwell Collins’ ARINC vMUSE Common Use Passenger Processing System has been selected by Grupo Aeroportuario del Centro Norte to provide enhanced flexibility of airport resources and passenger check-in at eight Mexican airports. The vMUSE application is currently operational at Mazatlan and Zihuatanejo airports. By 2019, vMUSE will be installed and operational at Acapulco, Culiacan, Chihuahua, Monterrey, Reynosa and San Luis Potosi. CUPPS will give the airports more flexibility and allow them to make better use of their facilities; the installation of the systems takes from three to five months. The mooted strike action at Logan International did actually go ahead but lasted only two days, with industrial action ending on February 8. The workers involved, who handle JetBlue Airways as well as other carriers, convened with state legislators, councillors and the city Governor last week to discuss their grievances. One upshot of the meeting was that officials have now pledged to put pressure on the two employer companies (namely ReadyJet and Flight Services & Systems), as well as JetBlue and the Massachusetts Port Authority, in order to permit workers the chance of organising a union. At Richmond International airport, GAT Airline Ground Support has announced a partnership with Spirit Airlines. Beginning March 15, GAT will be offering ramp services, along with customer services and passenger assistance, thereby enhancing the travel experience for the carrier’s passengers. The contract underlines the ongoing interest in outsourced handling provision within the US. JetBlue Airways is gearing up for a rough ride over the next few days at Logan International. The bulk of the airline’s contractors, who are employed by ReadyJet and Flight Services and Systems, have been trying for over six years to become members of the 32BJ Service Employees International Union. Their attempts have drawn disapprobation from ReadyJet and Flight Services and Systems; indeed, both these companies have a history of fines for cases of theft and safety violations at the station, and allegedly have used threatening behaviour towards employees looking to unionise. Because of this, upwards of 500 baggage handlers, PRM assistants, skycaps and cabin cleaners are now considering strike action. According to JetBlue (which supports the concept of a decent living wage), the intended strike will not adversely affect its operations at the airport, since it has subcontracted labour on standby. 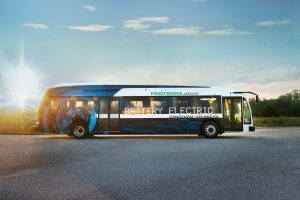 The Municipality of Anchorage’s Public Transportation Department recently hosted a press and Anchorage Assembly tour of the new 40 foot Proterra Catalyst E2 battery-powered bus, before it officially started up operations on Anchorage streets. The bus has begun serving routes for the general public and will run for a four month trial period. The trial period is designed to test how the bus performs in winter weather, to what extent cold temperatures will affect the battery life and whether it’s feasible to pursue an electric bus fleet in the future. Performance will be monitored with a view to ascertaining how this technology might be adopted by refuse trucks within the city. 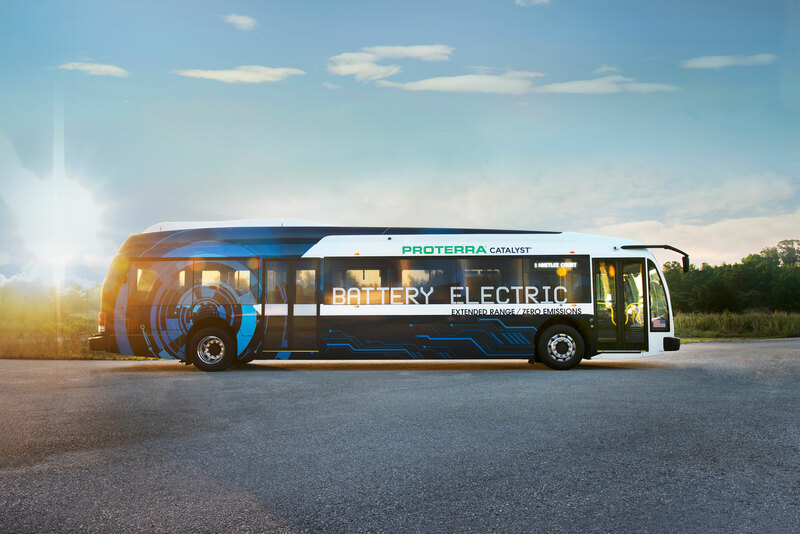 A 100% electric solution to urban (as well as airport) transport, the Proterra Catalyst model emits zero tailpipe pollution and will be able to reduce the CO2 footprint of a diesel bus by an impressive 244,000 pounds annually. The absence of a combustion engine means that the vehicle is also much quieter in operation. 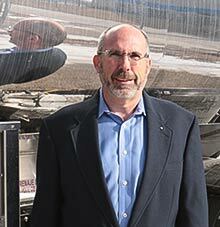 Steven Paul, CEO of SkyMark Refuelers, has announced the appointment of David Price as President and COO. Price, a manufacturing and technology expert, began his career in heavy manufacturing at Armco Steel Company, where he worked in different technical and management roles. CSafe Global has recently received approval for its new CSafe RAP active container from the European Aviation Safety Agency. 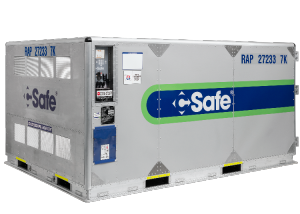 With this new approval, along with the FAA approval granted in November 2017, CSafe Global now provides greater opportunities for pharmaceutical and life science companies to ship their temperature-sensitive products globally.